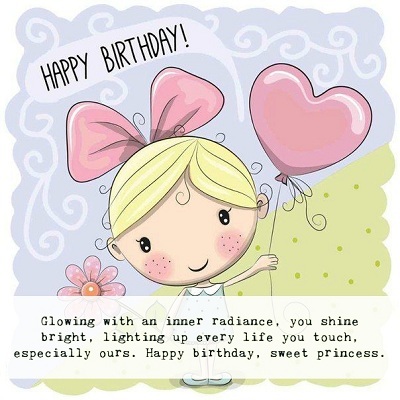 Glowing with an inner radiance, you shine bright, lighting up every life you touch, especially ours. Happy birthday, sweet princess. 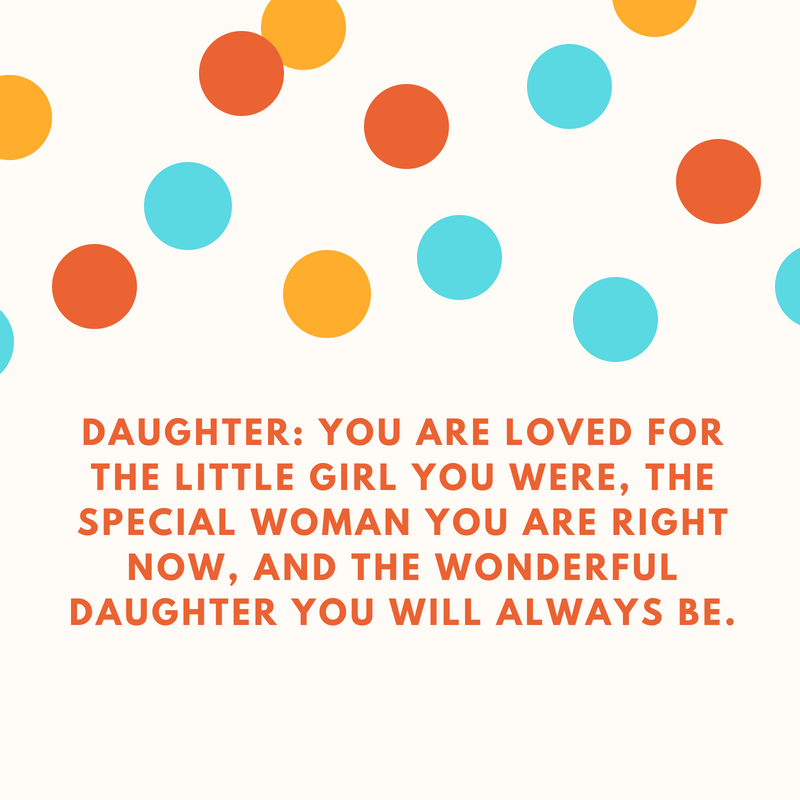 Daughter: you are loved for the little girl you were, the special woman you are right now, and the wonderful daughter you will always be. The most precious memories and the happiest moments of my life revolve around the smiles and laughter of one person – my daughter. Happy birthday. A daughter completes a heavenly and humble abode. Happy birthday! As you grow each year, we see little of us in you. You make us feel so proud. Happy birthday to our beloved daughter. 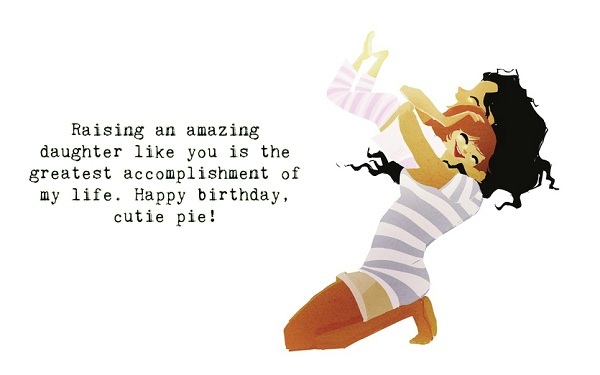 Many, many happy returns of the day! No matter how old you are, for us, you will always be our little angel. 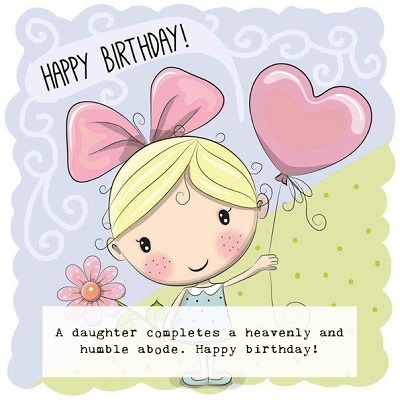 Have a brilliant birthday our dear daughter! 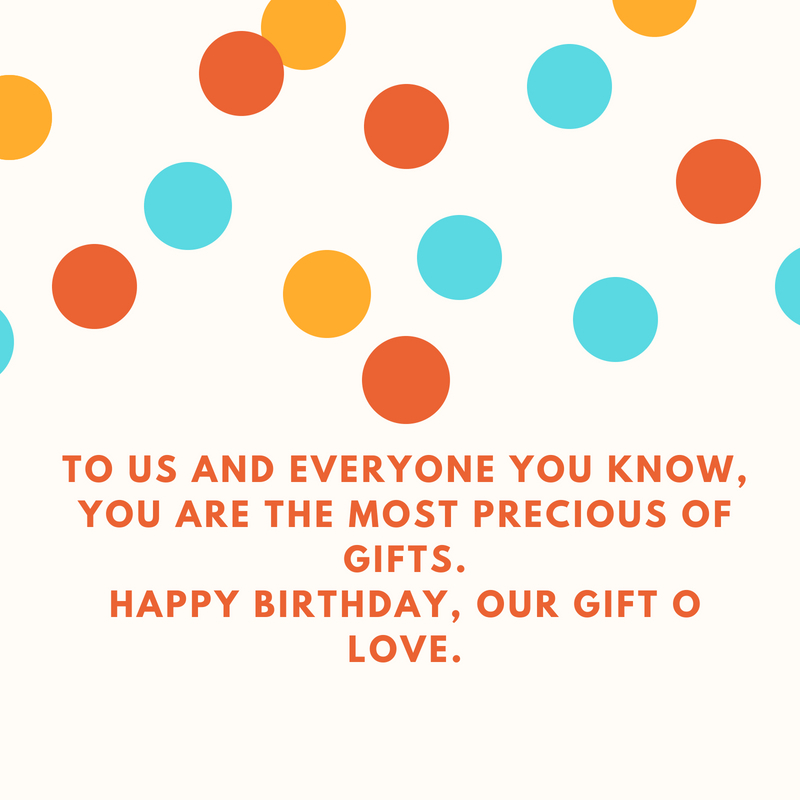 You may not hear this everyday, but you are the best gift that we ever have. On this special day, we still continue to receive the greatest blessing. 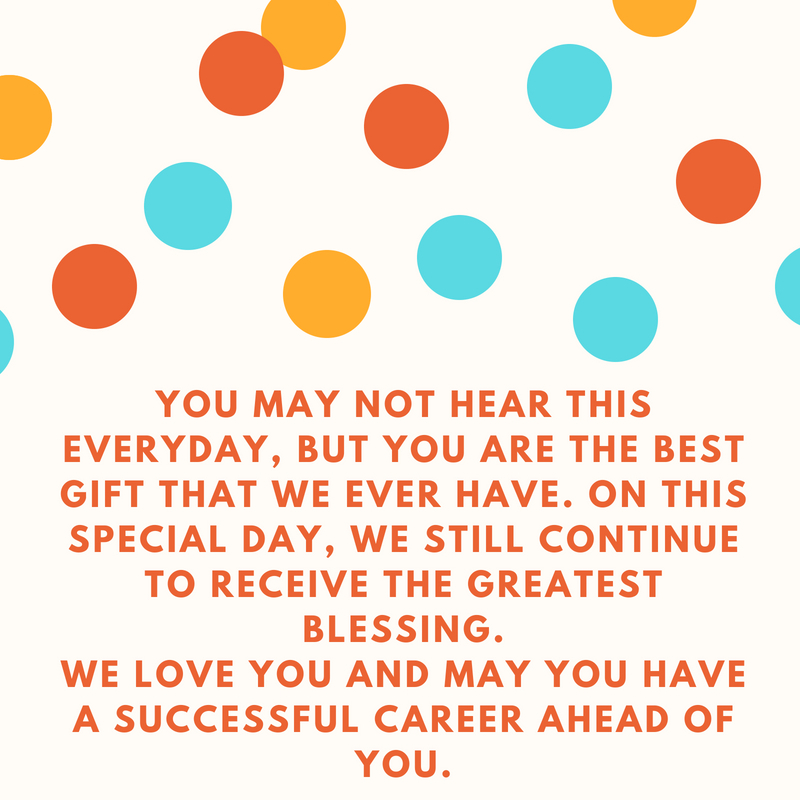 We love you and may you have a successful career ahead of you. 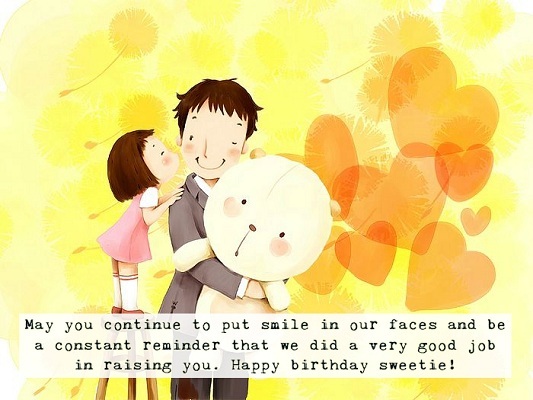 May you continue to put smile in our faces and be a constant reminder that we did a very good job in raising you. 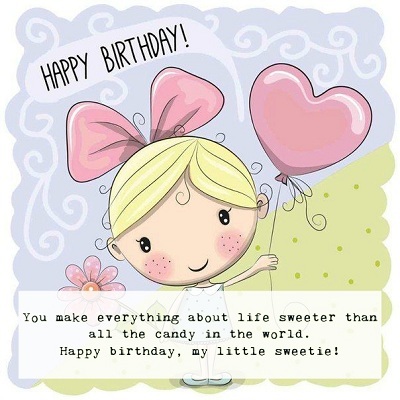 Happy birthday sweetie! 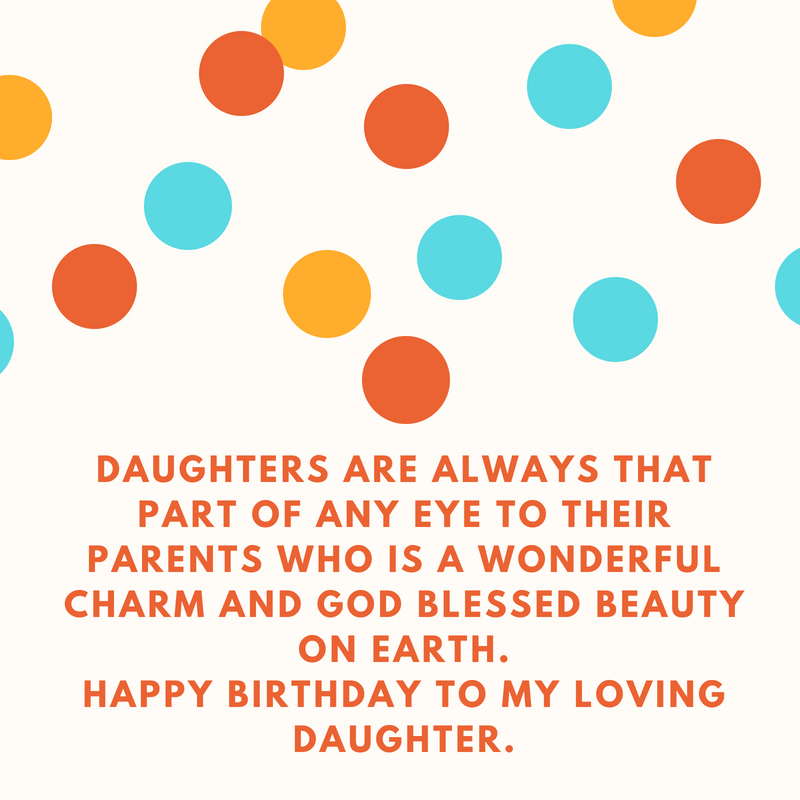 Daughters are always that part of any eye to their parents who is a wonderful charm and god blessed beauty on earth. 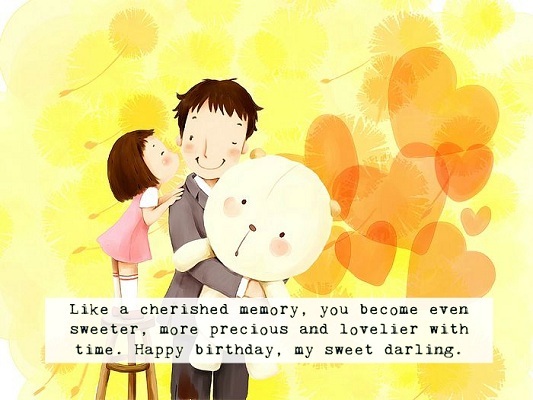 Happy birthday to my loving daughter. I wish that God sends you His choicest blessings and showers your life with happiness on your birthday. I wish that all that you have ever dreamt of comes true on your birthday. Happy birthday, darling. Happy birthday, darling girl! You came into my life and changed everything, making me see true beauty for the first time…and every day ever since. Daughter, you changed my life when you were born. You are the reminder of the greatest blessing that I ever received. Happy birthday. I always feel guilty whenever I fail to give you the time you deserve to have. On this day, I promise to spend more time with you. Have a wonderful birthday. Your voice acts like a guide for me. Your birthday is full of happiness and chocolate. Wish you a wonderful and happy birthday. Daughter, you remind me of your old birthday cake: you are full of sweetness and sprinkle my life with love. Happy birthday. There are different bonds that happen when you have a daughter in the family. These bonds are very special and unique. For fathers and daughters, these two can be the best pair you can ever imagine. Well, fathers give the best smooches and piggyback rides in the world, and even if a daughter finds her prince charming, her father will always be her king. But of course, the mother and daughter relationship also couldn’t be measured as only a mother can understand the physical and emotional changes of her daughter because, she too, was once a daughter.